Brian Anderson: Welcome back to the 10 Blocks podcast, this is Brian Anderson, the editor of City Journal. 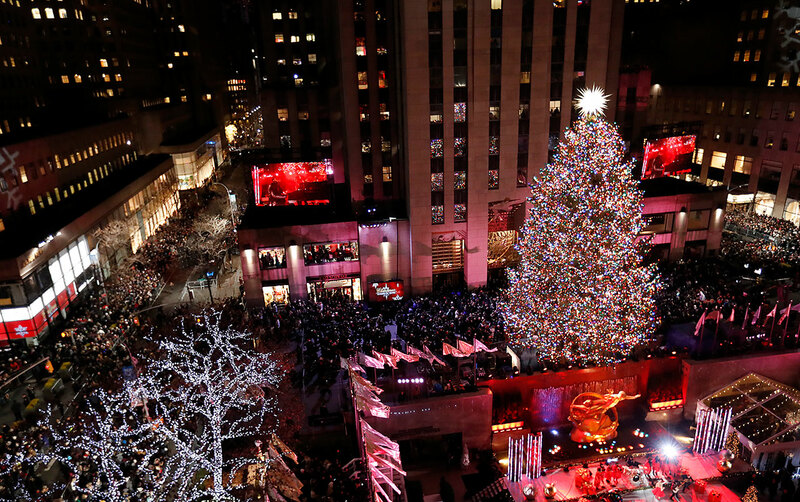 It’s the holiday season, and that means New York City’s midtown is bustling with residents and tourists hoping to see the Christmas Tree at Rockefeller Center or buy presents in one of the best shopping districts in the world. But this year the streets are in utter chaos. Just a few blocks from our offices, you can watch commuters and tourists alike navigating their way through a maze of NYPD barricades and concrete bollards – some of which are designed to stop vehicle-based terrorism. Everyone’s blocking the box, it’s unbelievably congested in a way I’ve never seen. Coming up on the podcast, Nicole Gelinas and Seth Barron will talk about the madness in midtown Manhattan. But before I forget, I wanted to remind our New York City listeners about signing up for our e-newsletter, “The Beat.” You can find that www.thebeatmi.com. That’s it for me. The conversation between Nicole and Seth begins after this. Seth Barron: Welcome back to the 10 Blocks Podcast. This is your host, Seth Baron, Associate Editor of City Journal. New York City, like most major cities, has terrible traffic and it's getting worse. Right now with the holiday season in full flower, getting around midtown Manhattan is a bit of a nightmare for drivers and pedestrians. Joining me on the show today is Nicole Gelinas. Nicole is a senior fellow at the Manhattan Institute and Contributing Editor to City Journal. She publishes widely on topics including transit, transportation, transportation infrastructure, and municipal finance. Nicole, thanks for joining us on the podcast. Nicole Gelinas: Thanks for having me back, Seth. Seth Barron: So is traffic as bad as it seems? Nicole Gelinas: Yeah. If you look at the average speed of midtown traffic, it's gone down to below five miles an hour and so you can ride a bike, get around faster than you can in taking a private car in a lot of midtown. And where does that fit into context? It's the slowest speed that the city has recorded in the modern era, and it used to be well above 70 miles an hour and so it's declined significantly over the past 20 years. Seth Barron: So is this a question of more cars, less space? Nicole Gelinas: Well, it's a question of a lot of things. There's more cars. I mean, I think everyone by now is aware of the effect of Uber and Lyft in making it much easier and cheaper to hail a car. And so naturally people do that. But there's a lot of other things going on too. There's construction lanes. We've got a bunch of buildings going up in midtown. Anyone who walks around can see that. And so if you think about the One Vanderbilt building at 42nd and Madison Avenue, they've got three lanes blocked off for their construction project that would otherwise be free for traffic or parking. The Moma building on 53rd Street, they've had two lanes between Fifth and Sixth Avenue blocked off for years and years. And there's, you know, there's a whole bunch of these examples, but there's some quantification of this that we had 21,000 street permit closures for construction back around 2010 and by 2016, we had 28,000. So we've added to these street closures for construction and plus, even things like the pedestrian crush, if you've got much more pedestrians crossing the street than you had 10 years ago at some of these intersections, that also slows the cars down that are turning. The drivers are waiting for people to cross the street for a longer time, so there's a cascading effect. Seth Barron: Yes. But in both of those cases, more construction, more pedestrians, presumably, maybe more tourists, more workers. I mean these are good problems to have, right? Nicole Gelinas: Yeah. There are certainly a lot of cities would like to have these cities traffic problems. Seth Barron: So how do we accommodate them? I mean, obviously if you're building a new building, I guess, you need to block traffic. Nicole Gelinas: Well, yes and no. I think first of all, we should price these construction lanes better. That right now, if you're a contractor for one of these buildings, you're asking this city for your permit, you're paying less than $200 a month for these permits and this should be priced on a market basis. If you need to take out 53rd street between Fifth and Sixth Avenue to build a luxury tower for four years, this should be in the thousands of dollars a month, if not more and not so much a to punish you, but just to say this is very valuable property. That's why you're building your tower here and selling apartments for millions of dollars to investors, and so you're using street for that purpose, so to give back some money and you could put that money toward the transit system. But the other reason is discipline them, because a lot of these construction spaces, they're using the space for private vehicles that are driven in by the construction contractors, construction workers. A lot of the time you walk around, there's the orange barriers up, but there's nothing happening in the space for, you know, hours and hours. And so if they had to pay a fairer price for that, maybe they would think more carefully. Do they really need all this space? Seth Barron: Oh, I see. Okay. So really metering the space in a sense. Nicole Gelinas: Yeah. I mean, if I wanted to plunk my private property down in the middle of 53rd street, you know, how much would that cost me to do? And so this is valuable space, but the city is not pricing it that way. And I think that goes for commercial vehicles, too. Like if you walk around, you know, 44th, 45th Street, it's just van after van parked on the side streets. And so there's really only one lane for through traffic. And why are we letting commercial vehicles park for hours on end for $6 an hour? I mean the, the garages are charging $35 an hour. What are they doing in there? These should be temporary drop-offs for heavy materials. And then if you've got to spend the day doing your work in some building, you should be parked off the street in the garage and that price should be passed on to your customers. Seth Barron: But as it is, don't, say, construction vehicles, delivery vans, they routinely get tickets and then they just incorporate that as a cost of doing business and pass that onto their customers. Nicole Gelinas: Yeah, in the city, they've got these bulk ticket programs for companies like Fedex and UPS where they get a discount on their tickets. The city is actually thinking of getting of that. Seth Barron: Discounts on tickets. Like it's like it's a commodity or somebody can buy it. Like a convenience. Nicole Gelinas: Yeah. I mean if you walk any of these side streets, you've got six or seven Fedex, UPS, postal trucks at any one time and you know, most of them are not double parked there, they're by the curb, but they're using this as a permanent loading space. And so is it really priced for the market rate of that? Seth Barron: Another phenomenon that I've noticed and that a few people have commented on is, I guess it's a function of the new Amazon or the Internet economy where I suppose Amazon or other companies like that, they outsource their distribution from their fulfillment centers and they hire contractors in white vans to take a delivery that's going to a particular block. And then, so I've seen many times on busy streets, they'll take up three or four parking spaces with cones, and then just start unloading their boxes and doing their, basically, their fulfillment type stuff on the street or on the sidewalk trying to figure out where things go. So basically, all of Amazon's logistics seem to be taking place just by amateurs on the street. What's going on here? Familiar with this? Nicole Gelinas: Yeah I've seen this. I think that's exactly what's going on. And it's not really fair when you think about Amazon competing with retailers who were struggling, but the retailers can't run their business out on the street. I mean, they've had to rent a store. They've, they have to have backroom space, but yet Amazon is basically, as you say, using the street as their back room. And so again, it gets back to the pricing issue. If you're charging a much higher rate than $6 an hour for the street space and not giving discounts to companies that violate these rules as it is, then maybe they would have to change the model. I mean, there are other cities that are not really here, but in Europe they do things like bicycle delivery, cargo bike delivery, for these, these densest, densest blocks in midtown. But for as long as we're letting them do this on the cheap, they won't really be thinking about doing those things. Seth Barron: I'm glad you brought up bicycles. You know, throughout New York City now we've seen more and more bike lanes, even dedicated lanes that are separate from the traffic stream. And I believe many motorists see the bike lanes as the problem. This is what's slowing everything down. You know, on a cross town street, maybe used to be able to have two lanes of traffic and now there's just one lane of traffic. To what extent are a plunging speeds in New York City a result of these dedicated bike lanes? Nicole Gelinas: Well, I think very little because, and I'm glad you brought up this issue. If you look at where the city has put protected bike lanes, were there some kind of barrier that keeps the cars from encroaching on those lanes, it's really not in core midtown. Like if you look at Eighth Avenue, they've got a protected bike lane up through Manhattan, but there's still five full lanes for cars, whether for through traffic or parking on Eighth Avenue. There used to be six. And if you look at the flow on Eighth Avenue, traffic flows. They're not in gridlock. Traffic may be going slowly, but they're not backed up intersection after intersection, even at rush hours. If you look at the core of midtown, there's no protected bike lanes. I mean there's nothing-- Fifth, Sixth Avenue, Madison, they don't have any protected lanes. The only painted lanes are on, there's a couple on the the main avenues or painted lanes, but the painted lanes on the cross streets like 44th, 43rd Streets, there are always cars double parked in this bike lane, you know, you can't go on the 44th Street bike lane without seeing a van or a for-hire a black car and they didn't really take away a lane of traffic. They just sort of painted this in, into the through lane of traffic and made the through lane in the parking lanes narrower. But to the extent that drivers feel inconvenienced by the bike lanes, they're parking in there anyway. So it's a very hard to say we took a lot of space away from crosstown streets, which are the real problem in creating gridlock for bicycles. I mean, you can't really find a real life instance of drivers actually staying out of those lanes and patiently waiting behind the other drivers. Seth Barron: So it's a bit of a bit of a red herring. Let me ask you, over the course of the last election, we heard a lot about the MTA and how the mayor of New York City doesn't really control the MTA even though it seems like he'd be the first person you'd want to point your finger at. In fact, it's the governor's fault. Maybe this is true. Maybe it's not true to whatever extent, but what about above ground on the streets? To what extent can we blame the mayor for traffic congestion and traffic in general? Nicole Gelinas: I would blame the mayor a good deal. I mean, if you were going to think about who controls the streets, both the city and the state have some degree of control. The state obviously runs the buses. They can choose whether to run more select bus service and have people pay before they board and try to speed up the process. And actually they said they're going to cut some of that back with their budget crisis right now. And of course the state decides whether we have congestion pricing or not. But still the mayor really controls in real life how we use the streets. You know, the mayor is in charge of enforcing the bus lanes, but there's not enough enforcement. You'll see cars and trucks constantly parked in the bus lane doing drop-offs. And also things like municipal employees using fake cards to say they have a right to park somewhere. I mean you walk in, you walk on 44th Street between Fifth and Sixth Avenue, which is one of the densest blocks in midtown, and a third of the parked cars there all have a placard that say "active firefighter" or something saying, don't give me a ticket and it's not, there's no great emergency. This is just employees driving in and parking on the street and going to work. But the rest of us are not allowed to do that. And so cracking down on that is something the mayor has not shown any interest in. But you think about a good deal of very finite parking in lower Manhattan in Midtown, Manhattan is basically being stolen by municipal workers and there's just no enforcement of that. So that's a big part of the congestion issue. Seth Barron: Does traffic enforcement just give them a pass, like for this placard corruption problem? Nicole Gelinas: Pretty much. And I don't blame the traffic agents. I mean they're, they are part of the police department. It's very hard to give tickets to people who are basically higher up than you are in the municipal pecking order. I think one good reform would be take the parking agents out of the police department altogether, put them under the Department of Investigation, put them under some independent agency that doesn't answer to the police department and basically say for at least part of that department, your only job is ticketing placards. You know, you can't ignore these cars because this is your whole job, and no arguments on the streets. All arguments should happen after the ticket has been given. You know, you have to, if you, are using one of these placards, if you think this was given in error because you really were responding to an emergency and you had no other way to get to the emergency, but to drive your private car, that has to be adjudicated by the DOI. Seth Barron: That's a radical proposal. Seth Barron: You brought up congestion pricing and this is a perennial for us, but you mentioned earlier a offline that there's a new coalition or consortium of people coming out in favor of congestion pricing. Can you update us as to what's going on with that? Nicole Gelinas: Yeah. Just this week a coalition, and I should've printed it out, but I believe it's called Fix Our Transit. It's a group made up of business leaders, union leaders, all different types of transportation advocacy groups got together and said we really need a congestion pricing plan. And they estimated this would raise about a billion dollars a year for transit. And so it's a signal before we start the next budget process with the state budget coming up in just more than a month, the next state of the state address, that they really want some congestion pricing plan to be put forward in Albany. And I think congestion pricing is fine. It's a good thing to do. The MTA needs the money, the streets need some more pricing discipline. But unless we do a lot of these other things, it's not going to make as much of a difference as people hope. Seth Barron: Wow. Now both the mayor and the governor are from the outer boroughs, Brooklyn and Queens and the mayor has not signaled a lot of enthusiasm for congestion pricing. He cites, you know, people needing to get to the hospital in Manhattan or get to a doctor's appointment and they're poor and they have to drive. And it would be unfair to make them pay $8 or $10 to take the bridge or to drive around Manhattan, $20, I don't know. Does the governor have a similar position and how valid do you find these arguments? Nicole Gelinas: Well, the governor has been more forward thinking on congestion pricing and now he, the state actually enacted a very modest version of congestion pricing in charging cab and Uber drivers or cars and forcing them to charge their customers a new $2.75 fee for core Manhattan ride starting in January I guess. But I think in general the governor has been better on this in sort of realizing that poor people are really not driving into Manhattan to go to work. You know, and for one thing, unless you've got one of these fake placards, you'd be paying hundreds of dollars a month, even more than that, for Manhattan parking. And things like going to the hospital, there are ways to deal with these issues. Like you could say every New York residential license plate, they get like five free trips a year. You know, you can--the good deal of the hospital district is outside the core of Manhattan below 60th Street. But for the most part, if you were driving a vehicle into Manhattan on a regular basis, then you're not among the poor. And if the money is going towards subways, that actually helps working class and poor people much more than letting wealthier people continue to drive around Manhattan. Seth Barron: So, you know, we've got another month or so of the holiday season here, any recommendations for people as to what to do if they're coming into the city or coming into Manhattan to a shop or see the tree or do whatever it is they want to do? Nicole Gelinas: Well, I mean, I would say if you, if you want to bring kids to see the tree, you know, the best thing to do is take them out of school on a weekday, early in the week because these weekend crowds, it's just a crush and it's not a fun experience. And it's sad really because if the city took a move to pedestrianize 49th, 50th and 51st Street, just around the tree area, it could be a much more pleasant experience. I mean you could have the area vendors, you bid on a concession to serve people hot cocoa under heat lamps in a couple of areas, have a much bigger space for people to walk around and enjoy themselves. But right now they're just being crushed into these little corrals on the sidewalks to benefit the much fewer number of cars that want to drive by. Seth Barron: Always interesting. Nicole, always interesting. Well, you can follow Nicole @NicoleGelinas on Twitter and read her work at City-Journal.org, that City-Journal.org. We would love to hear your comments about today's episode on twitter @CityJournal, #10blocks. Thanks for listening and thanks, Nicole, for joining us. Nicole Gelinas: Thank you Seth, always interesting to speak with you as well.